If I’m honest I thought I’d be doing lots more posts about how Type 1 Diabetes affected our trip, which ends in 3 days. 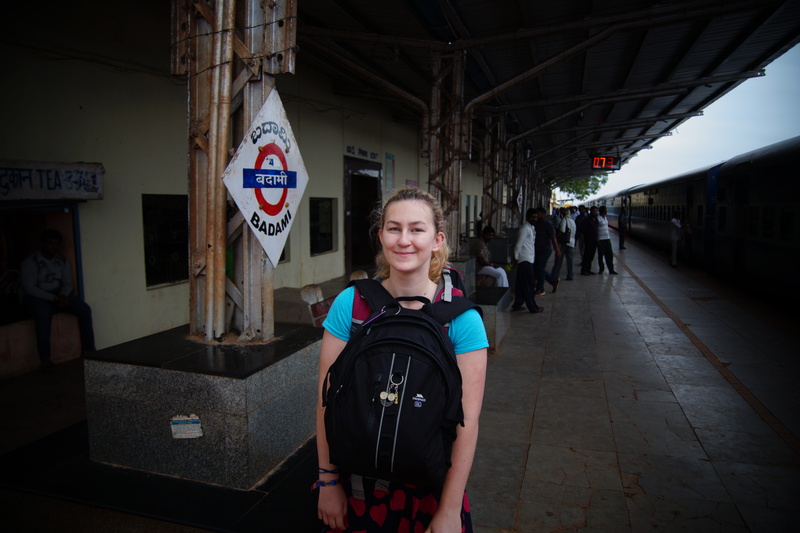 Although we backpacked in India in 2011, 8 months after Amy’s diagnosis, this trip involved more trains, lower class hotels/homestays and we’ve visited more middle-of-nowhere places far away from big cities and their big hospitals. It was also the first one where she is using an insulin pump. Here’s a picture of Amy at 7am after 15 hours on a train, as we reached our penultimate stop of Badami, well off the beaten path. If you think about all the potential problems too long, you’d never travel very far at all: the potential loss of much needed medical kit; electronic medical devices failing; consquences of small issues turning into larger ones; worries about not having a major hospital within a few minutes drive; running out of insulin; running out of acceptable glucose treatments; getting food poisoning and potential DKA hospitalisation. And that’s on top off all the normal day-to-day management issues faced. Well, honestly, we did think about all of the above, we did worry about them (a lot), where possible we planned for each potential issue, but once we’d planned or thought about it we decided to no longer worry about it. Diabetes-wise: she’s had a few hypers, often waking around 11 mmol (probably down to purposefully underestimating carbs); very few hypos (we’ve still got the European Dextro Mountain in our rucksacks); ketones of 0.6 or lower only twice; one failed set highlighted by pump occlusion warnings and caused by a bent cannula; one set which came off, probably due to heat/humidity. Fantastic going considering that everything is laced with sugar and/or ghee and it’s hard to buy a diet drink where we’ve been, so many full-‘fat’ sodas have been consumed. Throughout the trip Jane and I have had very little involvement as Amy’s managed her diabetes by herself, doing exceedingly well with the carbohydrate guessing game. Amy’s not been wearing CGM for this trip and we’ve not been using Nightscout, it’s all been down to finger-stick checks. It’s been a wonderful trip. Nothing has stopped 16 year old Amy from having a brilliant time, doing many life ‘firsts’ – she’s kept a list which runs at over 50 things so far – and gaining such wonderful insights into different cultures, people, food and ways of life. NOTE: For the animal welfare concerned people: this was in an elephant santuary and rescue centre, where elephants are cared for very well. In fact, they’d all be dead if the sanctuary had not rescued them as not many are willing to take on the Â£50 a day feeding/caring cost of elephant who is not allowed to work. 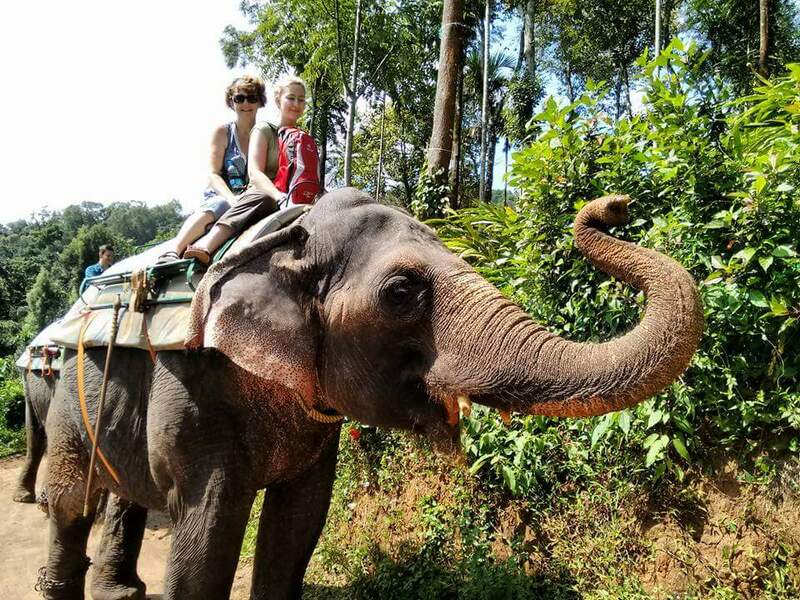 All walks are conducted in the forest, the elephants are fed and bathed well, and the mahouts treat them very well indeed. Arguably the best & most important post of all! Well done to all of you for being such great role models. We’re hopefully off to Brazil next summer, and while not as challenging as India, it will present its own embuggerances. Chapeau Winchcombes! Thanks. It’s all too easy to not do these things but it’s amazing how with a little prep holidays like this are achieveable. I look forward to hearing all about next year’s plans.